I’m happy to finally complete a trilogy of posts born a month ago out of an afternoon spent hanging out at a local comic show with Adam, at which I bought a Starlog magazine featuring a cover piece on The Star Wars Holiday Special, and this Ralph Bakshi interview about his Lord of the Rings movie. Click the photo to see a bigger version. 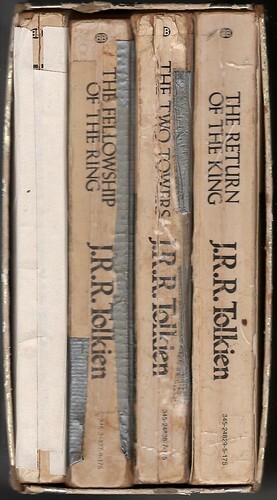 – but I’d never seen them before and loved them instantly, both in color (although I can’t stand the dead-center placement of the Houghton Mifflin logo on The Fellowship of the Ring) and as the black-and-white wraparound art to the slipcase. There are are three different kinds of tape holding these together. 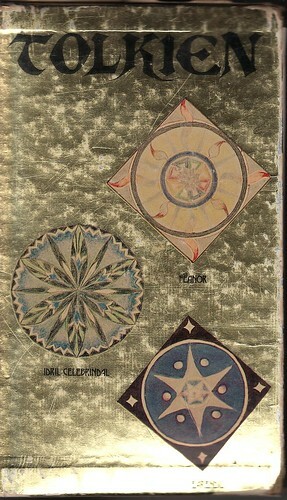 Two of the covers (which, as I had completely forgotten until working on this post, featured the paintings of J.R.R. 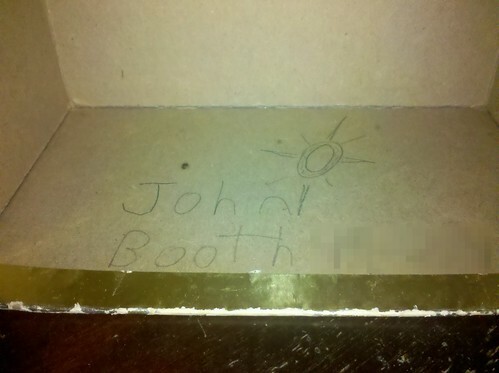 Tolkien himself) are missing, replaced by sturdy black posterboard. The pages (and while a very few of the introductory pages and maps are missing, all the actual story pages are still here) are worn soft like a child’s blanket at the corners and edges. Click the photo to see the entire set of scans and pictures. 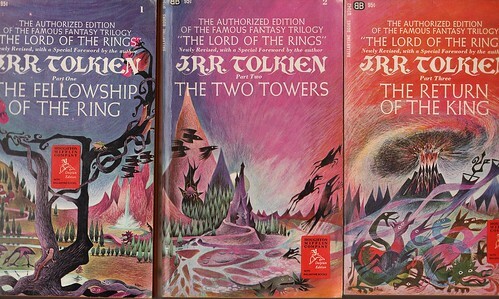 And I loved these books. Not just the stories within, but these actual objects: I loved having this relatively massive set of books that looked so different from anything else on my bookshelves when I first got it. 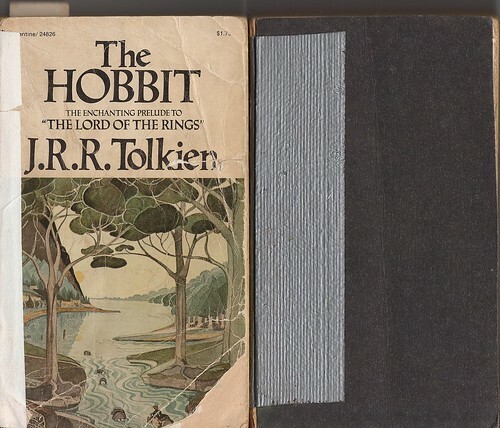 I loved feeling like reading these books was, by nature of the number of pages and the small type and the lack of pictures, something of an epic quest in itself. 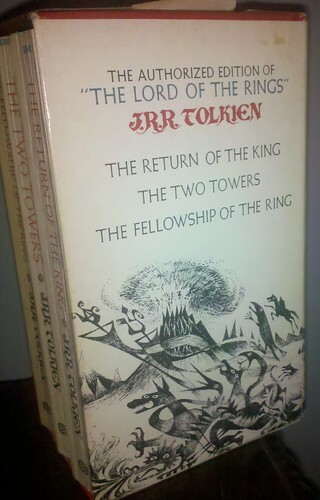 Though I got through The Hobbit pretty easily, it was a couple years before I really buckled down and got through The Lord of the Rings, and I vividly remember finally reading that last page, sitting in the den of our house – the room which had been my youngest brother’s room as an infant, and which had once been decorated with blue shag carpet and wallpapered with cartoon caricatures of old fighter planes and pilots. 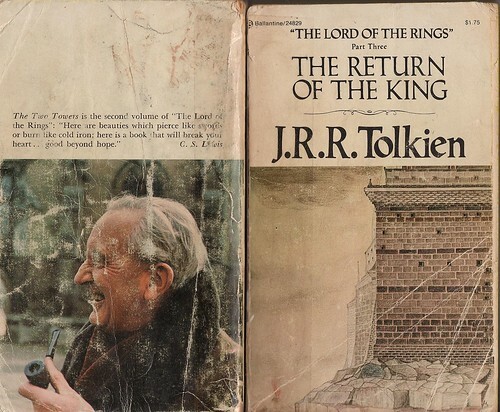 Finishing The Return of the King marked the first time I remember completing a book into which I had been so thoroughly drawn that I felt off-kilter for awhile, like I had to re-adjust to the world around me, akin to the feeling you get returning home after a long trip. I still get that feeling from time to time, and when I do, it also takes me back to that afternoon in the den of the house where I grew up.